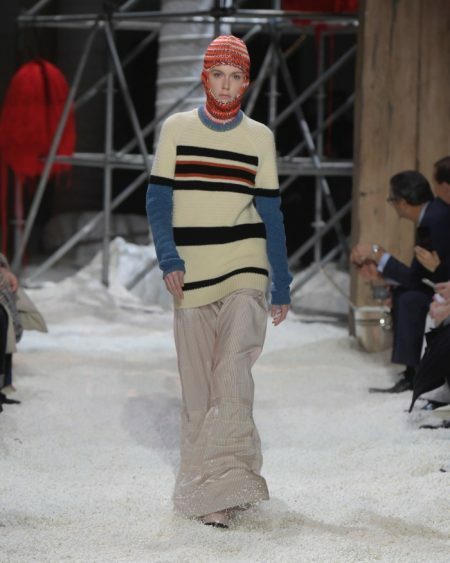 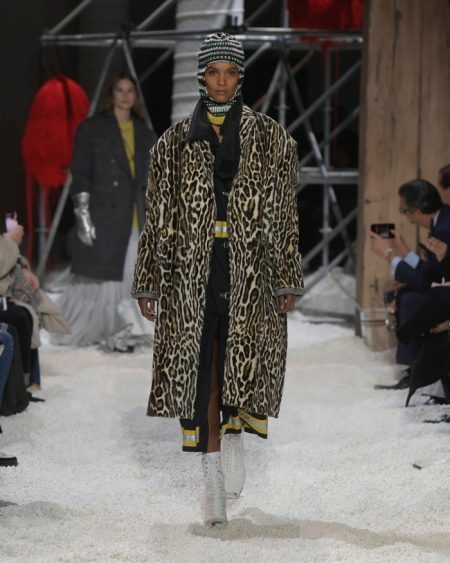 Raf Simons unveiled his third collection for Calvin Klein’s fall-winter 2018 runway show presented during New York Fashion Week. 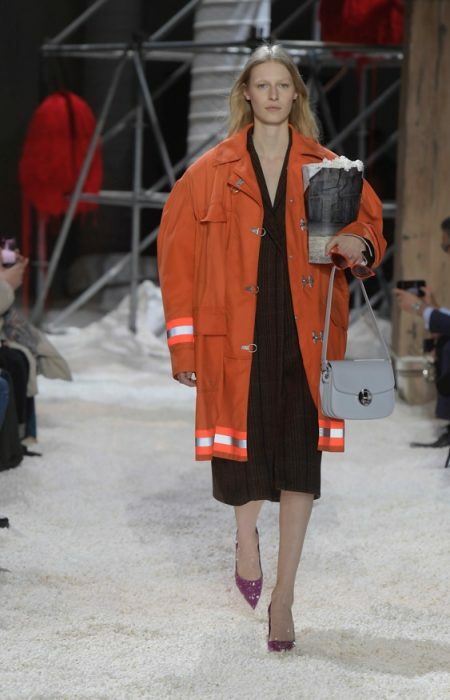 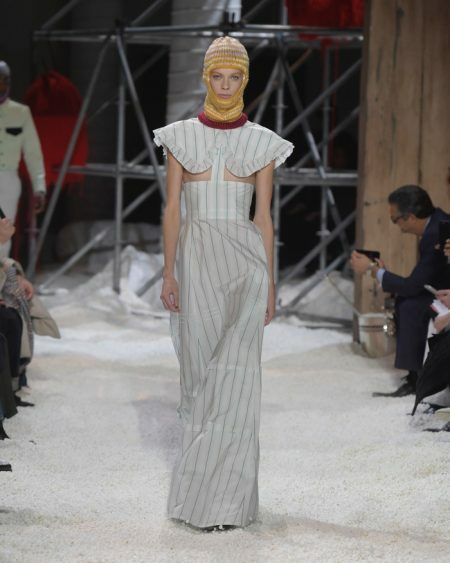 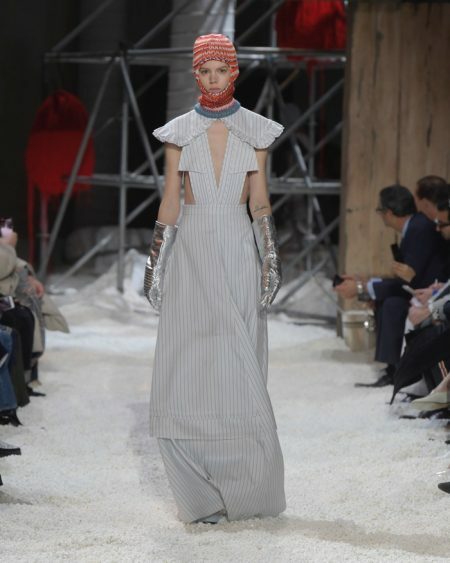 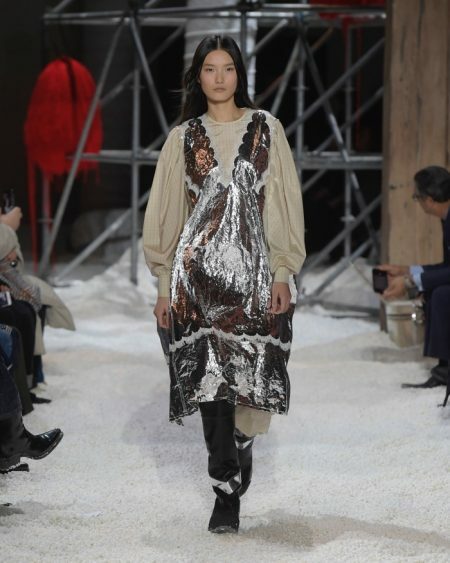 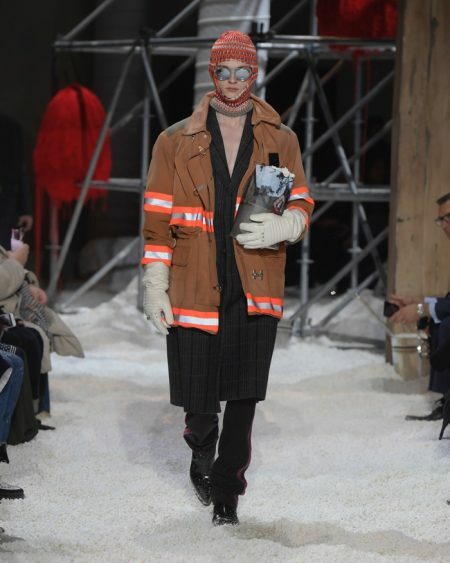 The Belgian designer filled the runway with popcorn—alluding to the Americana theme which has run through his work for Klein. 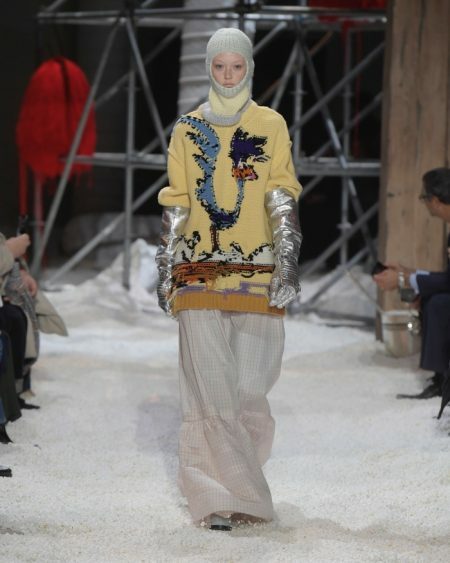 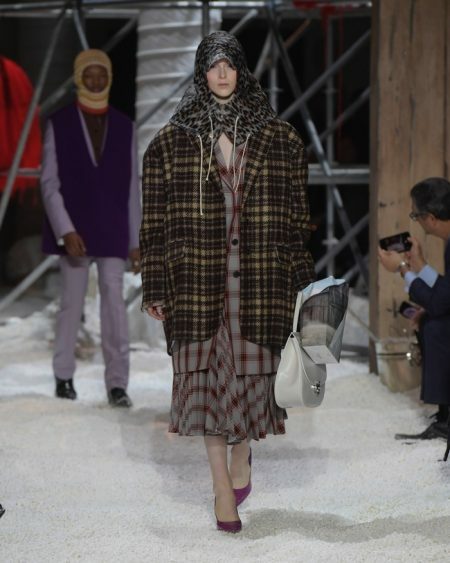 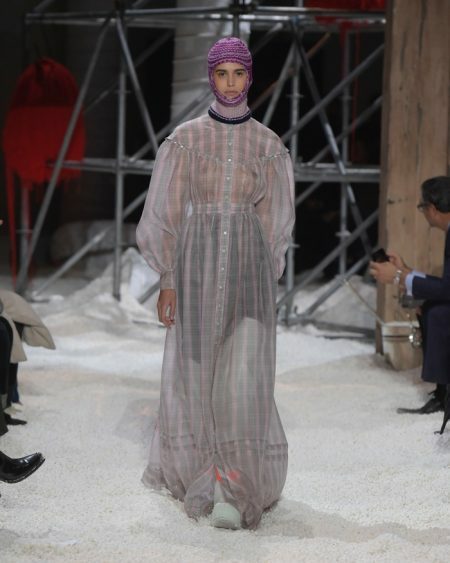 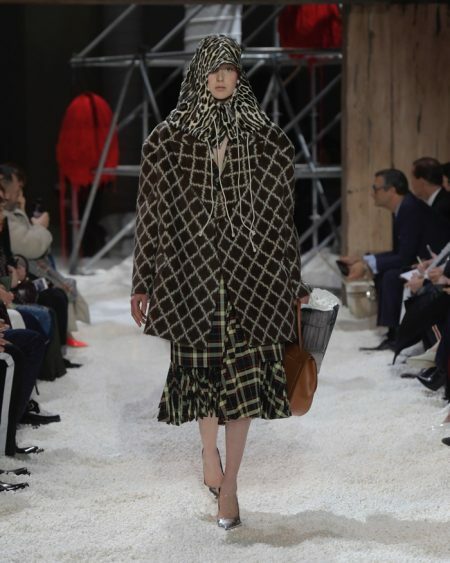 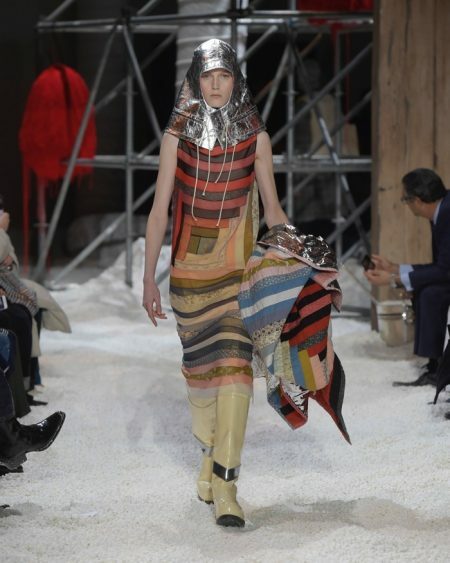 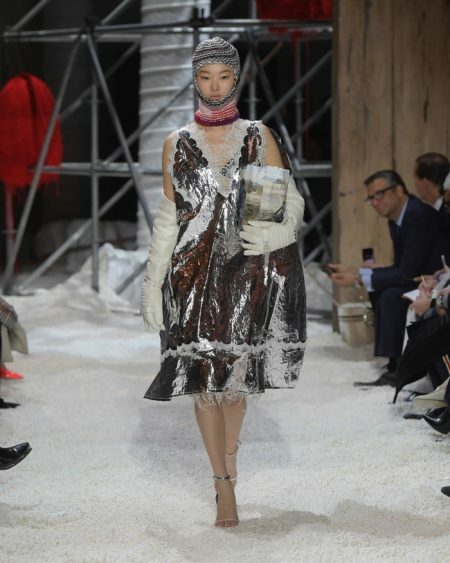 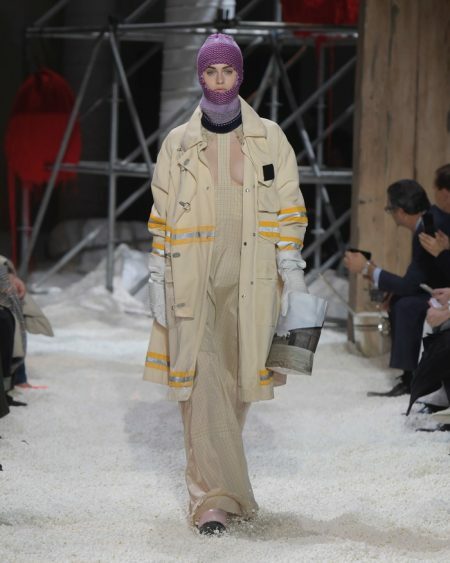 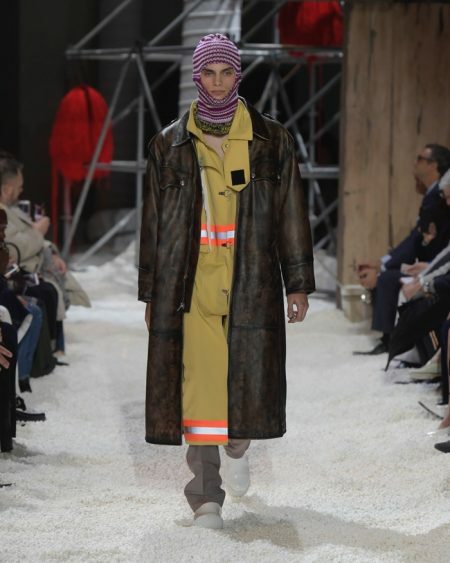 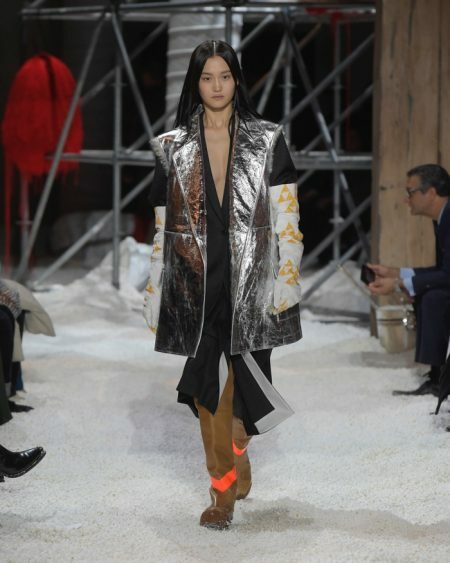 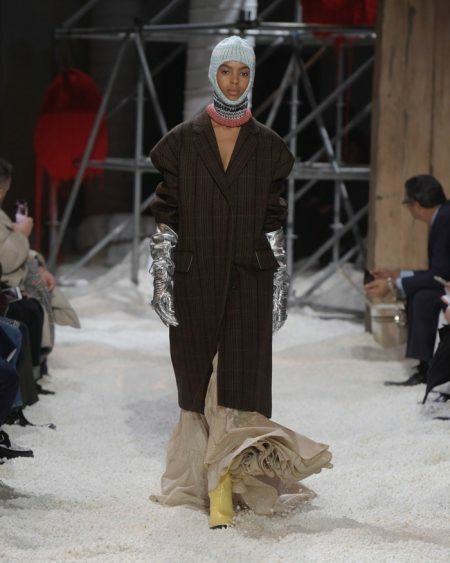 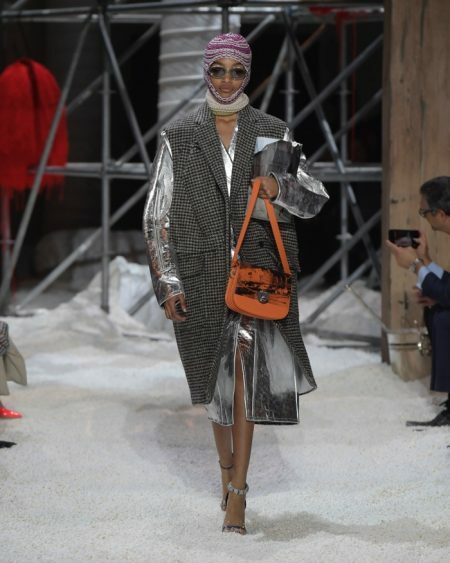 Models hit the runway in knitted hoods, hazmat suits and oversized coats with loose layering. 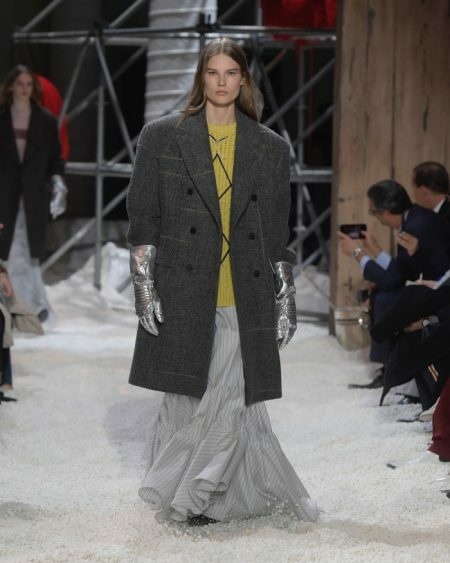 For accessories, Simons offered up metallic bags as well as silver gloves. 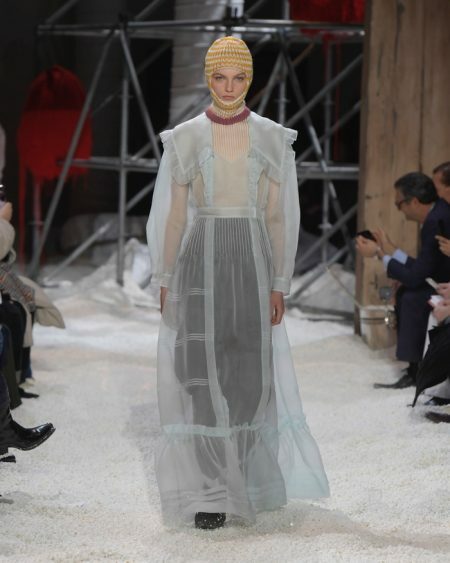 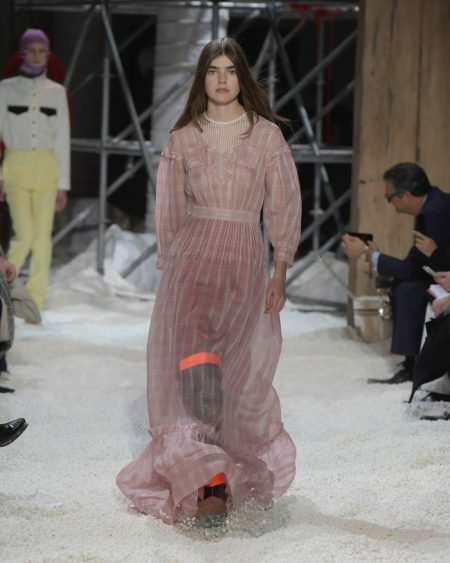 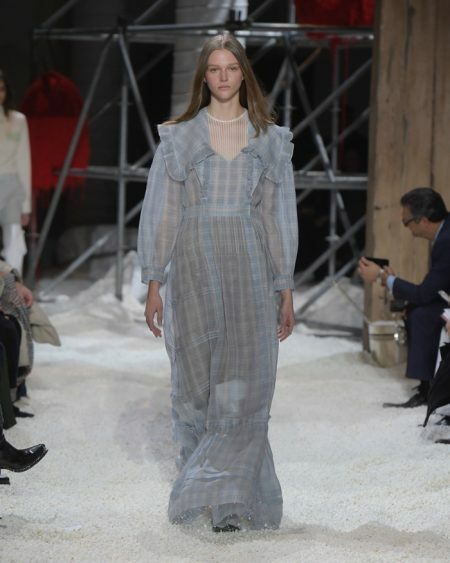 For lighter attire, sheer dresses in shades of blue and pink created dreamy silhouettes. 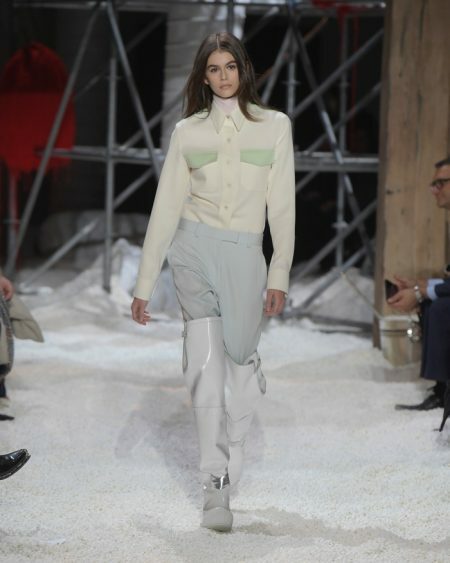 A western inspired, color blocked shirt continued to dominate the runway along with slouchy pants. 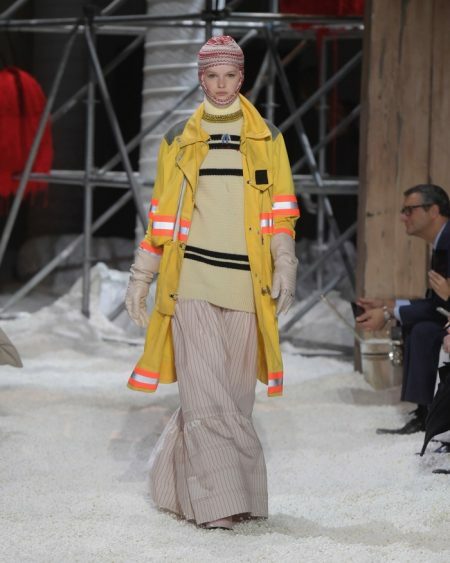 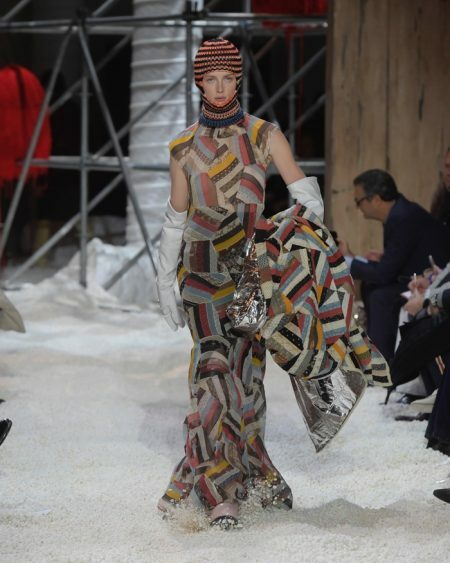 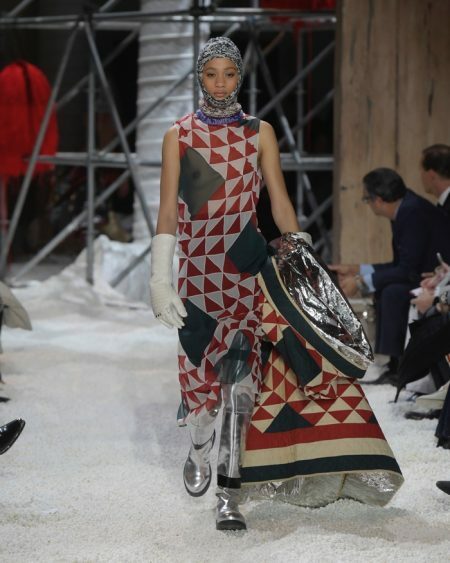 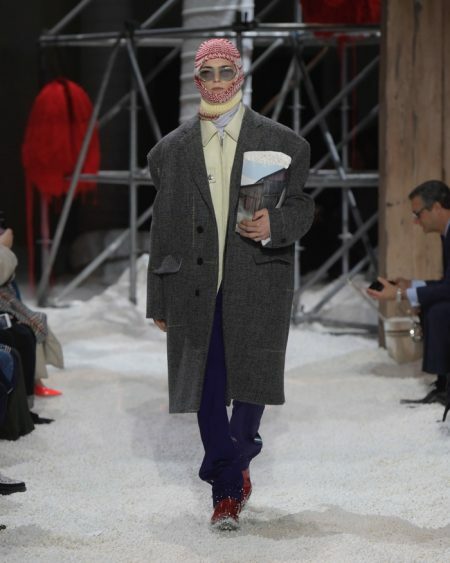 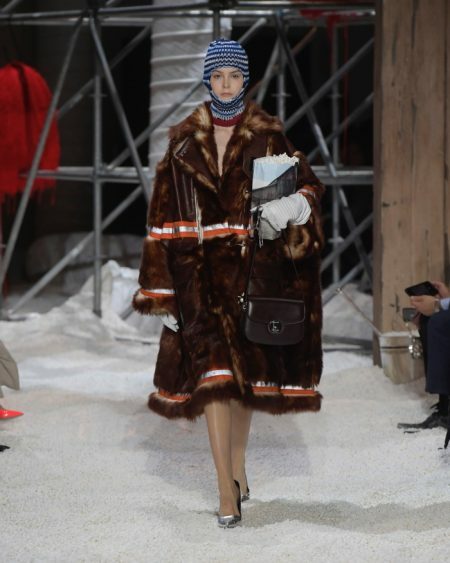 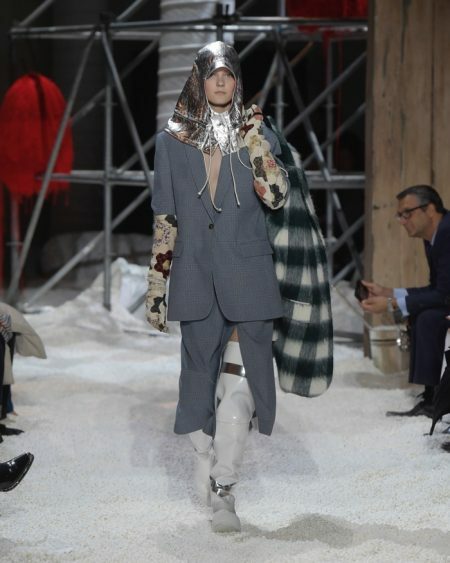 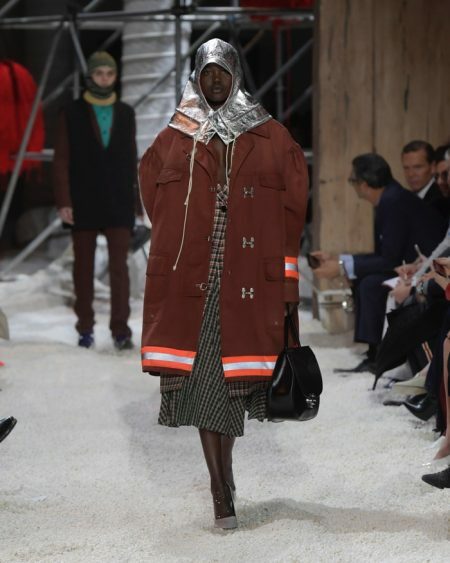 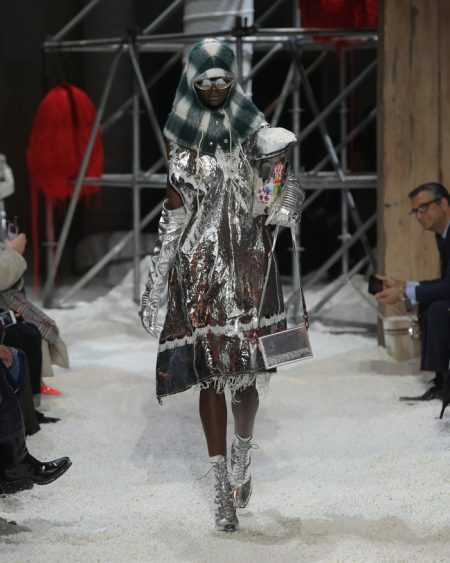 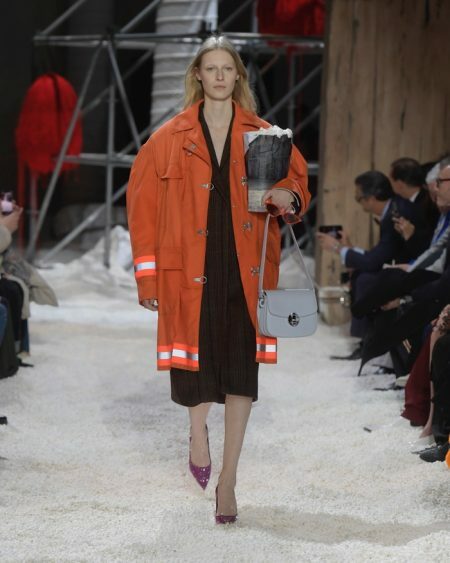 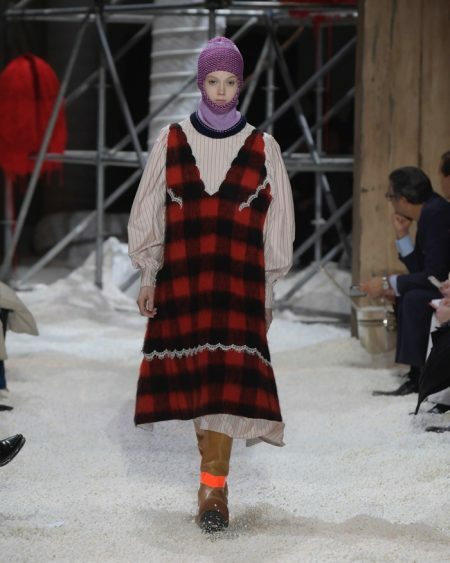 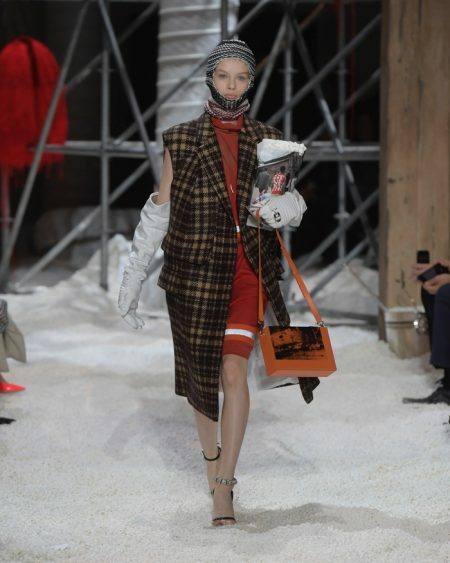 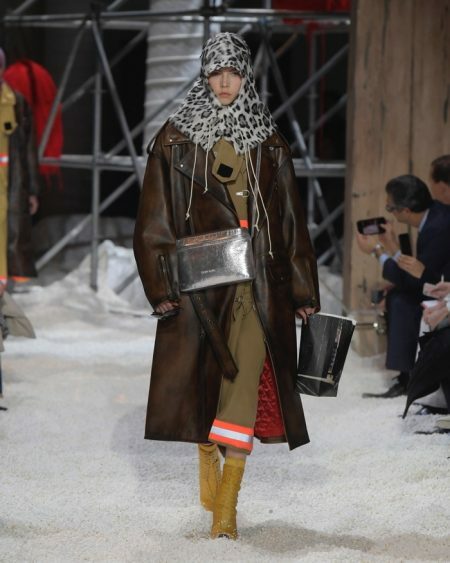 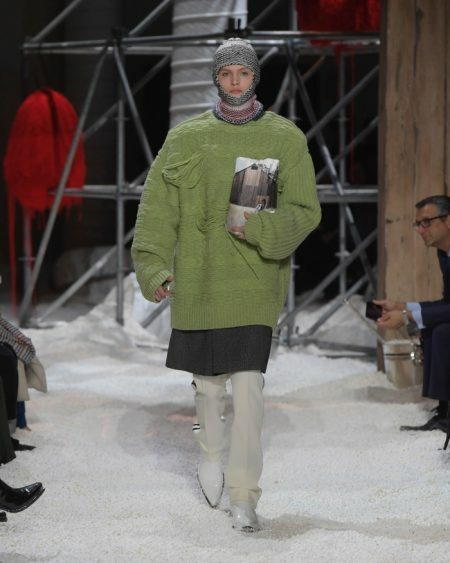 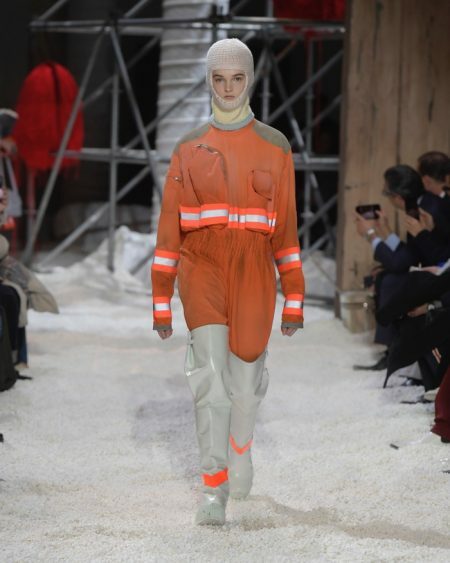 Finishing the ensembles, Simons had models walking with popcorn bags in hand and oversized moon boots.